The Centre's submitted this before a bench of Justices Madan B Lokur and Deepak Gupta while responding to arguments advanced by former union minister and senior advocate Ashwini Kumar. NEW DELHI: The Centre Friday told the Supreme Court that monetary considerations come in the way of increasing monthly pension to old age persons as the government "just cannot draw" money from other places. 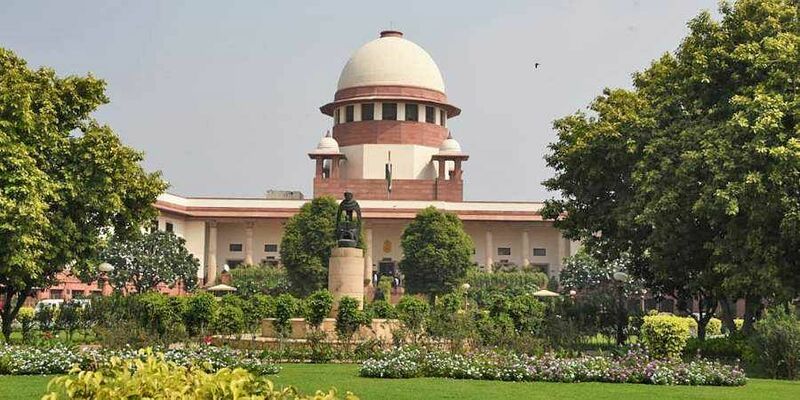 The Centre's submitted this before a bench of Justices Madan B Lokur and Deepak Gupta while responding to arguments advanced by former union minister and senior advocate Ashwini Kumar, who has filed a plea seeking a direction to the Centre to increase the monthly pensions of Rs 200 and Rs 500 which were fixed way back in 2007 for senior citizens. Kumar, who told the apex court that he had "failed" as a parliamentarian and minister but did not want to fail as a citizen, said that in 2007 the Centre had fixed Rs 200 as pension to senior citizens aged between 60 to 79 while a person of 80-year-old and above was given a pension of Rs 500 only. Kumar urged the bench that pension amount should at least be half of the minimum wages fixed by the government, which comes at around Rs 3,000 a month. Responding to this, Additional Solicitor General A N S Nadkarni, appearing for the Centre, said, "A pension is not earned like minimum wages. It cannot be equated with minimum wages. We just cannot draw money from other places". Nadkrani told the court that he would advance his arguments in details giving all the facts. During the arguments, Kumar told the court that a number of senior citizens in the country was around 10.38 crore as per 2011 census and the Centre has only raised the issue of lack of financial resources in increasing the pension amount. He said India, being the sixth largest economy of the world, was spending only 0. 04 per cent of its gross domestic product (GDP) for old age pension and poor countries like Botswana and Nepal were spending more for this purpose. "Please give something to these persons (senior citizens) which does not put the country to shame," he said, adding, "These people are completely helpless". "Give them at least Rs 2,000 or Rs 1,500 monthly pension," he said, adding that this was equal to having "10 Rafale or 10 Mirage". "I failed as a parliamentarian. I failed as a minister but I do not want to fail as a citizen of this country. This is not adversarial. The Supreme Court is our last hope," Kumar told the bench which posted the matter for further arguments on December 3. On October 9, the apex court had said that the National Social Assistance Programme (NSAP), which deals with pensions for elderly and other issues, was "prima facie" a good scheme but there were "huge gaps" in its implementation which needed to be filled. The Centre had earlier said that NSAP comprises of Indira Gandhi National Old Age Pension Scheme, Indira Gandhi National Widow Pension Scheme, Indira Gandhi National Disability Pension Scheme, National Family Benefit Scheme and Annapurna scheme. The government had said that NSAP has a budget of around Rs 9,975 crore in 2018-19 and it has allotted funds for pension covering around three crore elderly persons under the Indira Gandhi National Old Age Pension Scheme. During the hearing earlier, Kumar, who was also the Law Minister during the erstwhile UPA government, had said the Centre has said it was giving Rs 200 as old age pension which was "not sufficient" as inflation was rising. Kumar, in his plea, had said there were a large number of aged people, most of whom were living in poverty, without any roof over their heads or proper clothes, food and budgetary allocation for their welfare was also paltry. The petitioner has also sought that an adequate number of old age homes be established in the country and direction be given to maintain and operate such homes enable the elderly live their life with dignity.